John is a QC at 25 Bedford Row. He writes and broadcasts widely on legal and current affairs as well as having plays performed on TV and theatre. His legal experience ranges from a time at Clifford Chance to a role as Vice Chair of Public Affairs on the Bar Council. 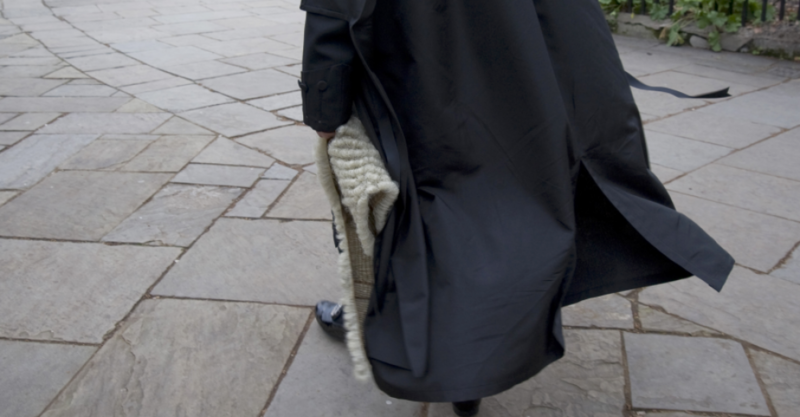 He was recently listed in The Times as one of the 100 most influential lawyers in the UK and is a Master of the Bench at Middle Temple as well as a Visiting Professor of Law at Cardiff University. Did you recieve The Paedotrial book I sent to 25 Bedford Row on 1st Feb? Peters & Peters Partners —-(1999 —2013.) – guilty. Pictet & Cie Bank – Partners -(1996—2013) – guilty. Another one of it’s managers Nicholas Campiche ( Now Head of Pictet – Alternative Investments.) concocted a letter pretending to be a client and closed his account. The senior partner (Ivan Pictet.) sought to have numerous documents destroyed,along with those copies held in their London office’s of Pictet Asset Management. Initially stating that they were forgeries then their lawyers Peters & Peters – Monty Raphael Q.C.–and the barrister Charles Flint.Q.C. later had to admit in Court that the documents were genuine. (1) It is a criminal offence for a bank to knowingly act for an undischarged criminal bankrupt in so far as it seeks to assist that criminal bankrupt in the fraudulent movement of monies. ( Money Laundering.) assisted by Monty Raphael.Q.C. (2) It is a criminal offence for a bank to lie to the police and the bankrupts trustee in bankruptcy in so far as any knowledge of, or dealings with the bank was refuted . + Monty Raphael.Q.C. (3) A bank can be guilty of Contempt of Court if it fails to comply fully with the Courts order for discovery .+ Monty Raphael Q.C. (4) The banks contempt is further compounded if it fails to address its error after it is specifically drawn to the to its solicitors attention. ( Monty Raphael Q.C.). (5) It is a criminal offence under the Financial Services Act to seek to destroy evidence that might be relevant to an investigation .+ Monty Raphael.Q.C. (6) It is a criminal offence not to relinquish control of funds to the Trustee immediately the fact of the bankruptcy is drawn to the banks attention.+ Monty Raphael Q.C. (7) It is a criminal offence to lie or otherwise obfuscate the lawful and proper enquiries of the F.S.A. + Monty Raphael Q.C. Both Ivan Pictet and Monty Raphael.Q.C. conspired to withhold crucial documents requested by the High Court – the FSA — and the Police Serious Fraud Squad. 4 .5years —- approx 8 .5 million e-mails – – – but still no writs, injunctions or threats of litigation – – – WHY – – – because it is all true. Monty Raphael Q.C. — Master of the Bench — one of the main advisers to the F.S.A. — the Banks.— and the Police. Update — April 27th .2013. 2003 —- F.S.A. — States rogues operating in Pictet’s London office. Ivan Pictet states that their documents were forgeries but were later proved to be genuine in the British Courts. ( Ivan Pictet a proven liar) He had documents destroyed in their London office hoping to hide the crimes. 2007 .- – – The Securities and Exchange Surveillance issued a recommendation that the Prime Minister and The Commissioner of the FSA to take disciplinary action against Pictet Asset Management – Japan Ltd.
2008 .– Dec. – Pictet Bank state – ” We have never chosen any funds linked to Madoff. 2011- – – Pictet & Cie abetted a Bribery Scheme – Oil company sues Pictet for $350,000,000. Even after the SEC in the USA uncovered the fraud Pictet continued to charge fees and drain whatever was left in these accounts. Estimated that $90,000,000 lost in this Pictet Ponzi scheme. 2012 – – – July. — De – Spiegel. — states – Pictet Bank uses a letterbox company in Panama and a tax loophole involving investments in London to gain German millionaires as clients. held in Swiss banks – $18,000,000. million held in 5 accounts at Pictet & Cie. Bank. Bahamas. 2013 — The bank is now seeking to re-structure — to cut the partners liability – hoping to off load their decades of criminal responsibilty – and protect their personal ill gotten wealth.. The Germans are right — the bankers should go to prison if found guilty of financial crimes..
Pictet & Cie Bank.— Partners —- (1996 — 2013) — Guilty. Peters & Peters — Partners —- (1996 —- 2013) — Guilty. The bank and it’s officials/lawyers deliberately withheld crucial documents requested under a High Court Order. They also withheld evidence from the Police. One of Pictet’s accounts managers Susan Broadhead gave a false witness statement to the police. The banks Head of Alternative Investments — Nicholas Campiche – concocted a letter pretending to be a client and closed his account. The senior partner Ivan Pictet sought to have numerous crucial documents destroyed along with copies held in their London offices of Pictet Asset Management. Initially stating that these documents were forgeries. Their lawyers – Peters & Peters . London — lead by Monty Raphael Q.C. — and the barrister Charles Flint Q.C. had to embarrassingly in Court admit that the documents were indeed genuine. Both Ivan Pictet and Monty Raphael Q.C. conspired to withhold crucial documents requested by the High Court — the F.S.A.– and the Police Fraud Squad. Written Parliamentary Questions received by the table office. To ask the secretary of state what steps he is taking to ensure that Swiss Banks such as Pictet & Cie do not evade criminal prosecution under EU law even when the illegal act is committed by a London based subsidiary. To ask the secretary of state what steps he his taking to protect the rights of U.K. Citizens who seek redress following criminal activities by Swiss banks with subsidiary offices located in London. *** The consensus of opinion is that Pictet & Cie Bank should be prosecuted and that their U.K. Banking licence should be taken away. Full Story. — Search — Google or Yahoo.